Join the Association of Migraine Disorders on March 30th to shine light on the third most prevalent disease in the world, migraine disease. This one-day event will begin with two simultaneous symposiums led more than 25 experts and advocates in migraine, covering various hot topics. 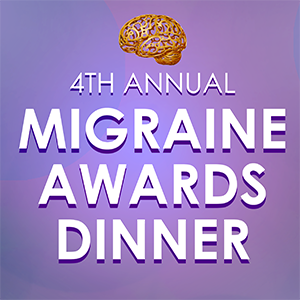 The excitement continues with a networking and awards dinner following the migraine symposium. Bob Wold – President of Cluster Busters, Inc.